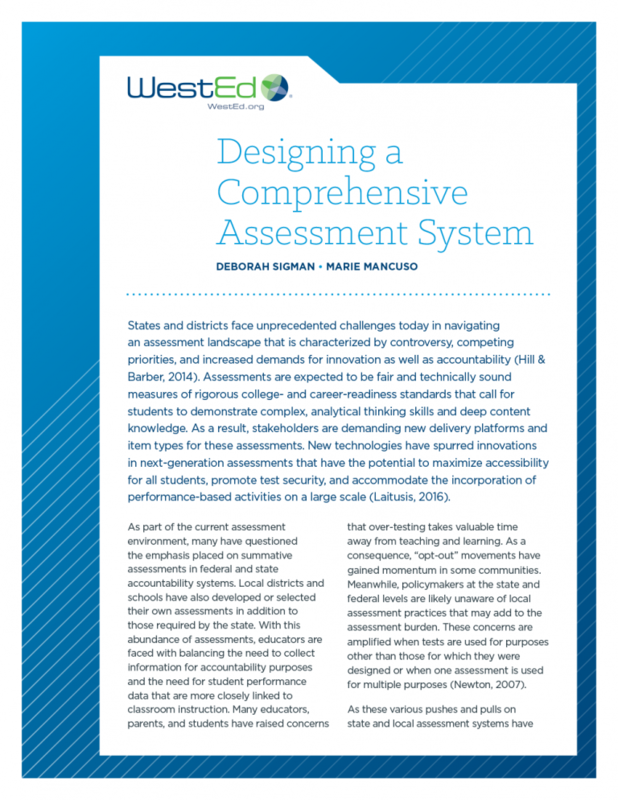 An assessment system must provide decision-makers at all levels with sound information on which they can base their decisions in support of learning for all students. A comprehensive system includes different types of assessment tools and processes, used for different purposes at different levels of the system: national, state, district, school, and classroom. This paper, written by WestEd’s Deb Sigman and Marie Mancuso, conceptualizes what a comprehensive system that is balanced and aligned might comprise. It also identifies what actions states, districts, and schools can take to create a comprehensive assessment system. The paper also provides a list of online assessment resources. 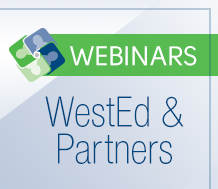 School district leaders and school board members: Learn how to understand Smarter Balanced school district results, compare your district's results to other districts, and incorporate findings into overall district planning. How can performance assessment help improve students' literacy practices and enhance the teaching and learning of college and career readiness standards? Find out in this webinar. Interested in learning about the California Assessment of Student Performance and Progress (CAASPP) system? View this archived webinar. Management of Complex Assessment ProjectsReceive assistance maneuvering through the complexity and managing the risks of your large assessment project with many moving parts. Assessment Literacy Workshops: Promoting Understanding of Assessment and the Effective Use of Summative Test Results Among K-12 EducatorsHow can results from state or district assessments be used to improve teaching and learning in your school or district? 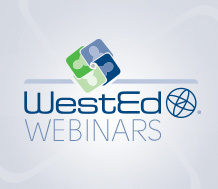 WestEd's Assessment Literacy Workshops — tailored to your unique needs — can help further your educators' assessment literacy expertise as well as help educators understand and interpret the scores that are produced. Creating and Implementing Innovative College- and Career-Ready Curriculum, Instruction, and AssessmentGet research-based support to create and implement innovative and cohesive K-12 curriculum, instruction, and assessment systems to help ensure students are college- and career-ready. Next Generation Assessment: ScienceReceive expert assistance designing and developing comprehensive next-generation science assessment systems.